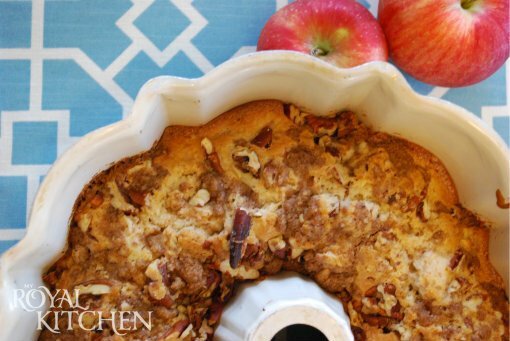 Fall weather is in the air and apple season is among us! 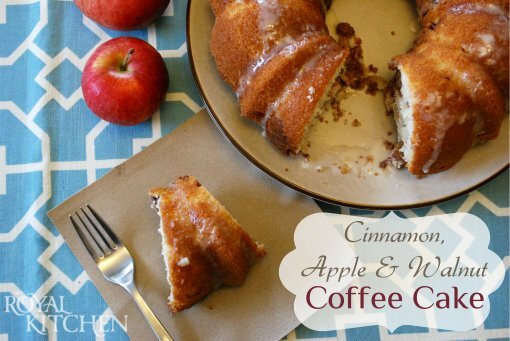 Reach up high and pick the juiciest apple for this coffee cake! It’s perfect for breakfast, brunch…or a warm snack to heat you up on a chilly night! Pair with a cup of hot cocoa and enjoy! Here’s some fun facts I found about apples….who knew! 1.More than 2,500 varieties of apples are grown in the United States, but only the crabapple is native to North America. 2.Apples contain no fat, sodium or cholesterol and are a good source of fiber. 3.Apple trees take four to five years to produce their first fruit. 4.Apples ripen six to 10 times faster at room temperature than if they are refrigerated. 5.Apple varieties range in size from a little larger than a cherry to as large as a grapefruit. The largest apple ever picked weighed 3 pounds. 6.Apples harvested from an average tree can fill 20 boxes that weigh 42 pounds each. 7.Apples are a member of the rose family. 8.The top apple producers around the world are China, United States, Turkey, Poland and Italy. Apples account for 50 percent of international deciduous fruit tree production. 9.A peck of apples weighs 10.5 pounds. A bushel of apples weighs about 42 pounds. 10.It takes about 36 apples to create one gallon of apple cider. In a medium bowl mix together the dry ingredients: flour, sugar, baking powder and salt. In separate bowl mix together the oil, egg, milk and vanilla. Slowly the wet ingredients in with the dry ingredients. Stir until combined. Stir in the apples. Pour into a prepared bunt pan. In a medium bowl mix together the ingredients for the topping, the brown sugar, flour, cinnamon, butter and walnuts. Mix until combined. Spoon the topping over the top of the cake batter.